Don't you just love, love, love getting packages in the mail - I certainly do, especially when they look like this. Then you open the wrapper to discover this. 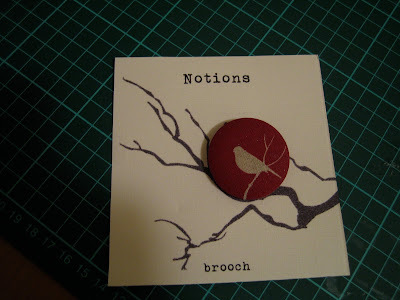 The photo above and below are the brooches that I ordered from Rosie at notions. They are so pretty and there are just so many to choose from. She is doing some printing on fabric at the moment as well, so you really, really, really should check out her fabulous craftiness. I so adore all the little treasures she has gifted me with in the little package, and I am going to add them to my papercraft stash. I can see some pretty little cards being made from these lovely bits. As for my new brooches, they are going live at my place, and I so look forward to wearing them, attached to scarves, my new beanies, on my jackets, maybe even on my bag. I can wear them together, or singly. Thanks Rosie for your very talented brooch craftiness. I love the awesomeness of Aussie talent !! she is awesome isn't she! 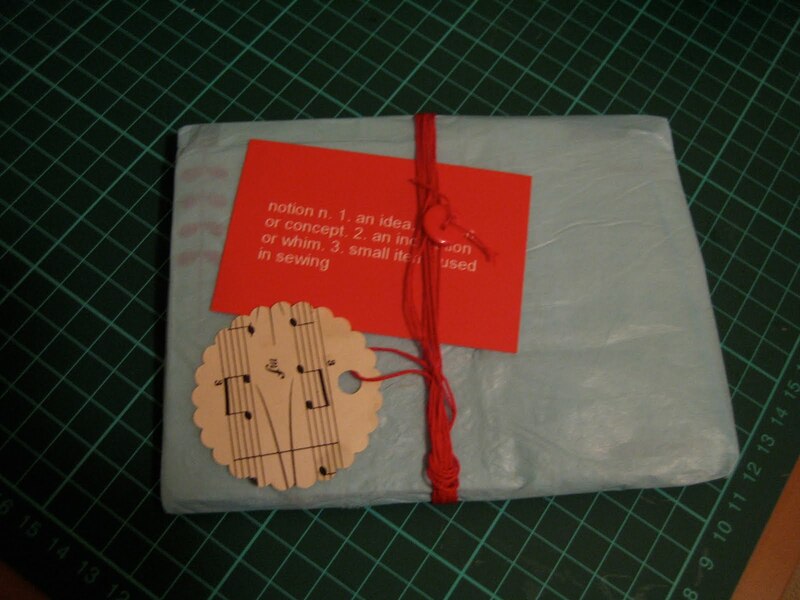 I have ordered a few things form her and the packages look amazing...not to mention the things she makes! Lauren, totally agree. I love our Aussie talent. We need to spread the word.